By the way, Maekawa-san, how has what you do changed from when you were a director now that you are a step removed as the producer? For the first game and Tomato Adventure, I was a hands-on director. That was possible given the scale of those games. Yes. But after the first game, I remember Izuno-san told me to stay out of the actual work. (laughs) But Kubota-san, as you directed, you were also hands-on in some areas for the second and third games. I wrote the script and programmed events. Really? You were the director, but you plugged in data for events? Me, too. I wrote the specs for one boss monster for this game. I basically had Kubota-san do the rest. (laughs) So rather than be a director who focuses on what to do with the game content, I was involved as a producer who, including who works on what, thinks about how to bring the project to fruition. Do you like to do the actual development work? I know exactly what you mean! (laughs) I was like that once, too. In the latter stages of development, I would happily correct the programming. I’m also in a position to take a bird’s-eye view of the project, but I was originally a director, so I have a tendency to get involved with the hands-on work. Izuno-san, what do you think as you listen to this? But as a result, the team’s overall strengths synced up and it turned out well, so I think the team had good balance. I doubt those of you at AlphaDream always agreed with Nintendo’s opinions. What did you do in those cases? We’d take it back and work it over. We could accept some parts, and then we’d hash out those parts we couldn’t accept face-to-face in a meeting. When people who take something seriously have differing opinions, the air can get chilly in an instant! It’s stressful, but what results is all the more robust and strong for that. Yes. I also have a strong impression that female staff members worked especially hard on this. A lot of women play this series. Why don’t we ask the male developers in the room the importance of having a female perspective in making an RPG. Female players have their own perspective and considerations, so they would point out what they had noticed but I hadn’t. I think women play this game because that shows up in the product. What do you think, Kubota-san? A lot of the female staff members at AlphaDream aren’t very familiar with action games and RPGs. For that reason, their input is incredibly informative when it comes to considering novice gamers. Yeah. (laughs) To convince them of how bad I am, I even played the game using a projector in meetings so they could see how often I messed up. In the giant battle with Luigi, everyone cheered for me, but I couldn’t do it. 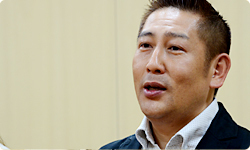 Sano-san functioned as a kind of sensor that showed you what it’s really like for players. But there are substantial support features for people like me who aren’t great at action games, which is a big help. If you get wiped out, you can redo that scene, and right there, for one time only, Mario and Luigi temporarily get strong. That’s called Easy Mode, which the player can choose. If you get wiped out again and do the same battle over again, a Hint Block appears. In the Mario & Luigi series, all the enemies attack different ways. If you look at the hint, you will learn an enemy’s weak point or a tip for dodging. But in the end, you still have to play hard for yourself. The hints don’t take away the fun of playing, but they will tell you how to make it easier to advance. Right. And if you fail at the Bros. Attack8 a few times, Slow Attack Mode kicks in. The moment you do a finishing move, it gets slow so you can get the timing just right.8.Bros. 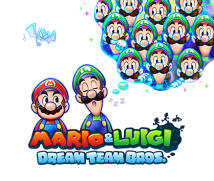 Attack: A powerful attack that Mario and Luigi perform in co-operation. A reason we put in so many support features this time is we realised how until now there hasn’t been enough explanation about how to play RPGs. The regular Super Mario games are action games, so you can avoid enemies and proceed without levelling up, right? But Mario & Luigi is a series of RPGs, so if you don’t pay attention to levelling up, you run into a wall. That had escaped notice before, because the longer you work, the more a certain sense of values solidifies and certain assumptions go unquestioned. Yes. Mario & Luigi games are RPGs with action elements, so that kind of balance is incredibly important. When it comes to that, I think we got the balance right this time. For those who like a challenge, once you clear the game, Hard Mode is unlocked – which is quite rare for an RPG. A hard mode in an RPG? 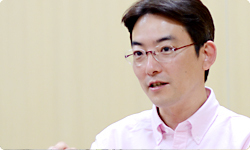 It’s very challenging, so it turned out to be something we can offer to all kinds of people.